Everyone who plays basketball believes that you HAVE to wear high top basketball shoes to protect against ankle sprains. But do these shoes actually protect your ankles? Well, if they did, then why are people getting 25,000 sprained ankles a day, many in the sport of basketball, most of whom wear high top basketball shoes? I play a lot of basketball myself and I used to wear high top basketball shoes for years, just like everyone else. But, I learned the reality is that they offer VERY limited protection to your ankles, even if you lace them up tight. The reason is that they are meant to be comfortable and therefore are flimsy around the ankle. They are not like an ankle brace or tape. If these shoes were that tight, then why would anyone need a brace or tape? The reality is that they offer very mild support to the ankles. It is a nice illusion that they protect against ankle sprains, but an illusion nonetheless. 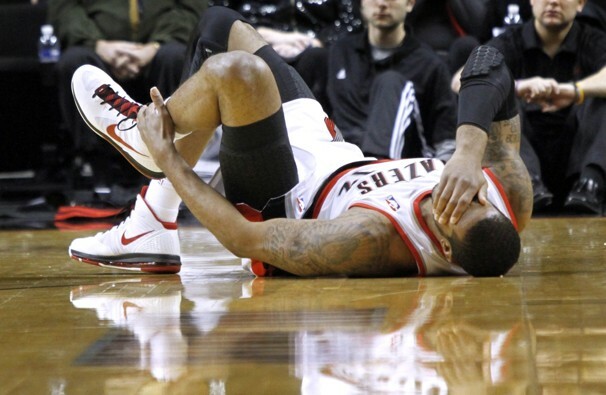 1) Wear ankle braces or tape, so that your ankle is so immobilized that it cannot twist at all. This is not 100% protection, but it can help a lot against a sprained ankle. What most people do NOT realize is that your ankle is supposed to be mobile. When you immobilize it, it not only makes you significantly slower, it also puts the knee at great risk of a tear. 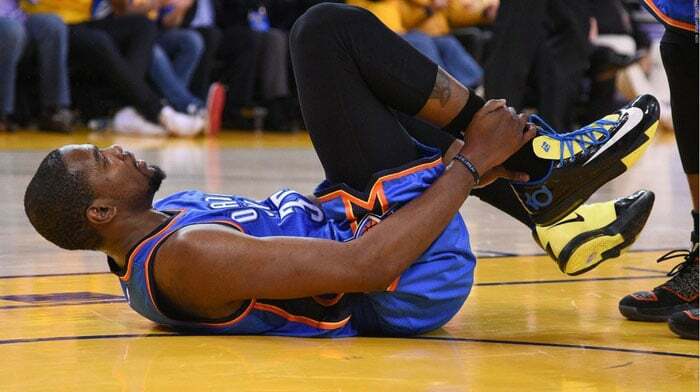 Think about it… if you immobilize the ankle, when you move, the body has to get the mobility from somewhere in the lower body… and it does this by going up to the next joint (the knee). The problem is the knee is supposed to be stable and can only safely move a few degrees. So, forcing the knee to move too far is very dangerous. So, an ankle brace and tape protects agains a sprained ankle, but puts you at increased risk fro an ACL or MCL tear in the knee and to me, that is far more serious. 2) You can strengthen ankles and improve mobility through a wide variety of proper ankle exercises and stretches. This way your ankles will be naturally strong and much more resistant to sprains. It does not protect you 100%, but neither does an ankle brace. But, unlike a brace, you will have increased speed and athletic performance AND your knees will be at a DECREASED risk of injury. In fact, I have stepped on peoples feet (the usual cause of a sprained ankle in basketball) and my ankle will twist with force, but it does NOT sprain. My ankle has enough flexibility to come right back with an extremely minor sprain or no sprain at all. But, that is because I have worked my ankle with the proper exercises and stretches to prepare it for that kind of twisting force. And the work has paid off many times! So, what kind of shoes do I wear when I play basketball? I like Nike Free. They are extremely light and comfortable. Everyone always asks me why I would wear a low top running shoes for basketball, and I always tell them what I have just explained to you. Shoes do not protect you against a sprain, a strong and flexible ankle protects you. So, why not wear a shoe that is light and extremely comfortable? 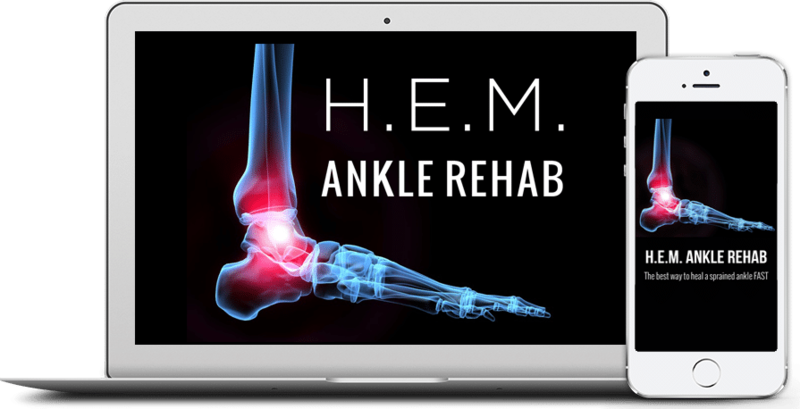 That is why I created the Prehab section in the HEM Ankle Rehab System. It was designed for people with old injuries, weak ankles or even healthy ankles that need to be strengthened and mobilized properly. You can follow it and you will see great results in a relatively short period of times (2-4 weeks). Do this: Try some ankle exercises and stretches everyday for a week and then see if you disagree with me. I think you will be extremely surprised and happy to learn your ankles are much more resilient than you think, if you just prepare them properly.